No man has been more important in my life than my grandfather, Ray Chrisman. Gramps’ nickname was “Baldy.” That always seemed strange to me as he had a full head of silver-grey hair. Why would people call him that? It was not until last year that I learned that his nickname was “Bawldy,” not “Baldy” as I spelled it in my mind all these years. And therein is a tale. As I have written before, Gramps came from a family of coal miners. His dad, all of his brothers and many of his cousins all descended into the coal shafts to eke out a hard living. He longed to join them. Each day as his dad and brothers he would stand at the door in their house in St. Mary’s and cry to be allowed to go and work beside them. This went on and on each workday even though they always told him he was too young. His brothers and sisters started teasing him by calling him “Bawldy” because of his weeping and bawling. Gramps was already part of the coal business in a way. He started hauling buckets of coal for the Postmistress of St. Mary’s Eugenia Doyle when he was seven years-old. Each day in the cool weather he would take her coal to heat the tiny post office. So, to eleven year-old Ray Chrisman it was only right that he go to the mines. In that fall of 1912 the supposed minimum age to legally go to work (14 in some areas). In earlier times children as young as five or six were a part of mine sites. Finally the family relented. They let the skinny young boy follow in his father’s muddy footsteps to the Sisters’ mine located not far from their door (https://wthhistory.wordpress.com/2013/03/19/black-diamonds-for-the-sisters/). Young Ray got his wish. Soon he would don a miner’s clothes. Miners of the period wore certain types of clothing. A wool shirt was preferred because it absorbed sweat, and it was thought, helped prevent colds. Pants or overalls of a heavy duck cloth were necessary to withstand the wear and tear of mine work. As were good heavy boots or shoes (this may be one of the reasons Gramps always insisted Grandma buy their kids the best quality shoes they could afford, even during the Depression). When miners emerged from the shafts into the cold the walk home could be frigid. One man who worked the mines in Sugar Creek recalled that his pants were so frozen on many occasions that they could literally stand on their own when he took them off. I am not sure what Gramps’ first job was in the mine. There were several available to the young during this time. He likely started as a “breaker boy.” Coal came up from the mine in large chunks. Mixed in with the coal were rocks, slate, dead rats and other debris. Breaker boys were responsible for breaking up the chunks and pulling out the debris, which were later taken to what was called the culm pile in some areas. It was hard work, being bent over and pulling heavy rocks and slate for eight or more hours a day. The sulfur muck in the coal would seep into their skin causing the fingers to swell and the skin to often crack open. It is likely that Gramps’ mother Anna likely had to wash his hands and treat them with some sort of grease to soothe them. Breaker boys were considered day labor and were paid around a quarter a day. Some boys served as “nippers.” Their job was to quickly open and close the shaft and main doors to allow miners, mules and coal cars in and out. This was important due to the ventilation systems in mines. When closed the doors allowed the system to work properly by forcing air into the tunnels and shafts for the miners and helping prevent the buildup of dangerous gases. Being a “spragger” was also a boy’s job. Spraggers ran along with the coal cars to control their speed. Runaway cars could be a danger to all. Spraggers worked in pairs had to be agile as their job was to jab long pieces of wood called sprags into the car’s wheels when they were moving too fast. 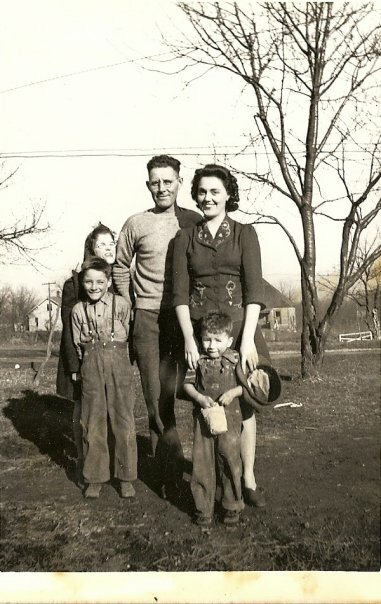 Gramps’ favorite job would have been being a “butty.” A butty was a miner’s helper. He would have carried all the tools, picks, shovels, axes, etc., that a miner needed to do his job. For Gramps this would have meant working alongside his dad or one of his brothers. He would have gloried in this, handing tools, sharing jokes, being a part of his family’s world. Coalmining was a dangerous job for everyone, including the youngest. Maiming and death were ever present. Breaker boys, spraggers, nippers and buttys lost eyes, arms, legs and their lives on the job. That was one of the reasons Gramps’ family resisted so long. But I can imagine him walking home from a long day at the with his dad and brothers, nestling a quarter to kelp with the family finances. That short walk from the mine back home must have flown by. For millennia epidemics of infectious diseases scourged the world. The most famous of course was the bubonic plague that decimated Europe in the late middle ages. But America saw its share also. Cholera, typhus and small pox epidemics swept through country, bringing with them fear and calls for solutions. Nineteenth-century newspapers reported cholera and small pox epidemics almost as if they were silent, deadly invading armies. Look out they are in this town or that and moving closer and closer to us. And epidemics could be more deadly than an army. In the 1830’s cholera epidemics wiped out ten percent of the population living in Aurora and Salem, Indiana. And though advances in medicine and inoculations lessened the fear as the century grew old, some words still brought chills to many. Small pox was among them. Small pox was a highly contagious virus that brought on fevers and skin eruptions. Those who survived the disease wore its scars for life, many were left blind. Small pox was brought to the Americas by early explorers and conquistadors. Once let loose on native populations who had built up no immunity it devastated those cultures, sometimes wiping out 90% of population. 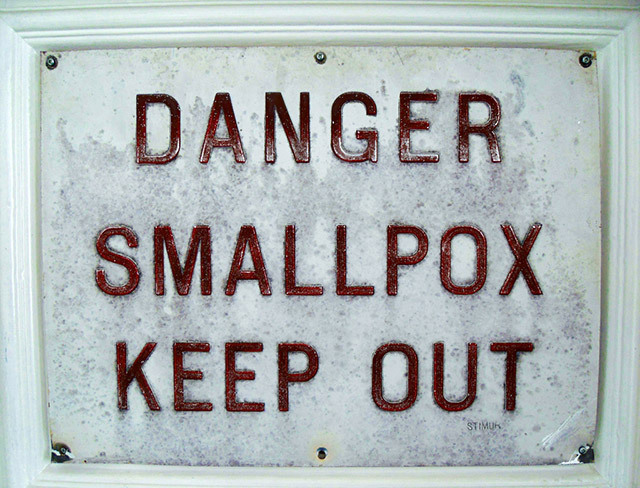 By 1900, thanks to Jenner’s discovery of a small pox vaccine and increased inoculations, the dread of contracting small pox being a death sentence had waned, but fear of the disease remained. To many, any outbreak of the disease was cause for concern. That was the case in Vigo County in the winter of 1902-03. There had been a statewide outbreak of small pox in April, 1902. Nearly 900 cases were reported that month, of which seven died. The epidemic soon subsided, but would return before the year was out. The first cases in Terre Haute were reported on December 2nd. Five additional sufferers were quarantined on December 5th. County Physician Dr. Van Cleave worked feverishly to contain the outbreak, urging people to get vaccinated. At that point the cases were all in Terre Haute. Though two more cases were announced on the 19th, by Christmas Eve Van Cleave noted he felt the outbreak was dying out and all patients were doing well. That was wishful thinking on his part. The new year brought a new case. A rug peddler named John Montgomery was found walking the streets of Terre Haute. A policeman noticed his face was broken out with small pox and stopped him. As he had been peddling his wares all over downtown there were fears that Montgomery may have infected dozens who came in contact with him. He was immediately taken to the pest house. Pest houses, also known as fever houses, were a feature of many towns throughout the country. They were used to quarantine (sometimes forcibly) people with contagious diseases like cholera, typhus or small pox. Usually located on the outskirts of towns to minimize the chance of contact with others, some had their own cemeteries in which to bury the dead. Terre Haute’s first pest house was built in the 1850s. Several pest houses were built over the years to serve the county. In 1903 it was a brick building located on the county poor farm (later known as the County Home) on east Maple Avenue, then on the edge of town. Each new day seemingly brought more victims. And it started to spread into the countryside. It hit Sanford, causing the closure of the school there to protect the children. There were outbreaks in Pimento and Lewis. John Merritt of West Terre Haute was found to have an advanced case of the disease on January 16th. It was thought he would live but the lesions around his eyes were so severe it was feared he would be blind (small pox was a major cause of blindness). On January 19th it struck the heart of the West Terre Haute business district. 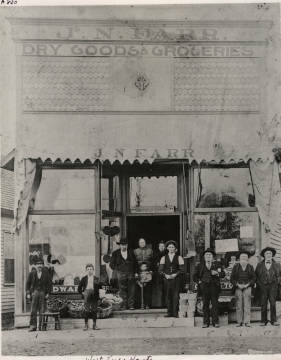 Jacob Farr was a prominent businessman with a store on Paris Avenue. He had contact with dozens of people every day. His family was immediately vaccinated. It was determined that Farr’s case was mild, but he was quarantined. Both West Terre Haute schools had already been closed as a precaution. Vaccination was one of the keys to treating small pox. If vaccinated within the first twenty days the ravages of the disease were lessened and ultimate recovery likely. By January 20th all Terre Haute policemen and firemen not already vaccinated were ordered to line up for the shots to protect them. It only made sense. But, as now, there was a vocal minority group that opposed vaccination. In Terre Haute it was known as the Blue Group. They objected to enforced vaccination on the grounds of personal freedom and non-belief in the science around it. They averred they would not vaccinate their children and would fight any effort to bar non-vaccinated students from attending school. There was talk that the entire city of Terre Haute might be placed under a strict quarantine. In the last week of January there was once again hope that the outbreak had been quelled, but it was fleeting. Small pox cases began to rise in West Terre Haute. Samuel Greer and John Waggoner were diagnosed on January 30th. Within a week others were stricken. 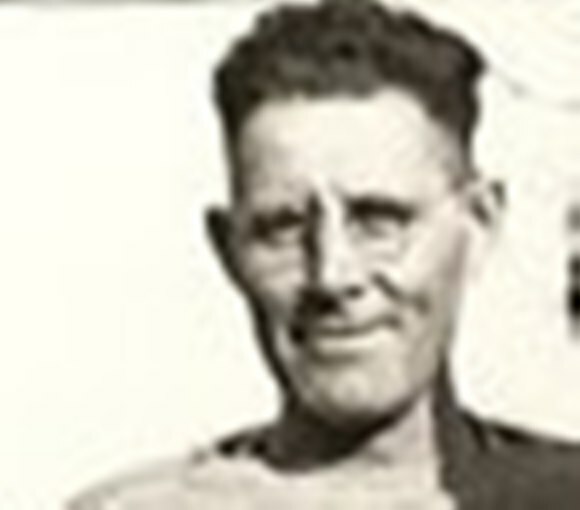 A 33 year-old miner named John Bunch was taken to the pest house. That same day George Arthur, son of prominent West Terre Haute landholder and Civil War veteran David Arthur was diagnosed. He and his family were vaccinated and quarantined in their home. The red flag which noted the residence was quarantined and to be avoided flew from the porch. It was important that quarantines be honored to prevent the spread of disease. Terre Haute police arrested a man who broke quarantine and was walking the streets. He was taken to jail and later tried and convicted for his selfishness. It was especially important to protect children as they were far more likely to die from small pox than adults. In this case one of those protected from visiting her Uncle George was an 18 month-old toddler name Hilda Hants, my grandmother. By mid-February the pest house was full. It had taken an emergency appropriation by the Terre Haute city council to keep it going. Earlier in January the funds had been depleted and the budget conscious Democratic majority said that was it, no more would be spent. But a public outcry and enraged newspaper editorials forced an emergency session that provided $2,500.00 more to fight the outbreak. Patients sent to the pest house were quarantined for 30 days. They were vaccinated and made comfortable. Some fought hard against being sent there. One was Thomas Bunch of West Terre Haute, likely related to earlier victim John Bunch. On February 17th the pest wagon, with its driver and a guard, was sent to Thomas Bunch’s home to collect him. Bunch did not want to go, but was forced into the back of the wagon. Bunch seethed as the wagon rumbled across the Grade and over the wagon bridge over the Wabash. He was feverish and the lesions on his skin were maddeningly painful. The driver kept his eye glued on his team as they entered the busy street of Terre Haute. The wagon inched to Second and Cherry streets where it stopped to pick up another patient. The driver leaned back to smoke, paying no attention to his human cargo. The guard jumped off the back of the wagon to get the new patient. Seeing his chance, Bunch swiftly took it. He ran with all the force a sick man could back across the bridge to West Terre Haute. Searchers went out looking for him. They carried a ball and chain to ensure he would not escape again after they caught him. They never did. Bunch went into hiding. His escape caused a policy change. The next trip there were two guards on the wagon, one of whom sat in the back of the wagon. The small pox outbreak finally ended by the end of February. Over the three months it is likely more than 500 people contracted the disease. The area was fortunate than none died, but it was left with visible scars and the fear it might return.